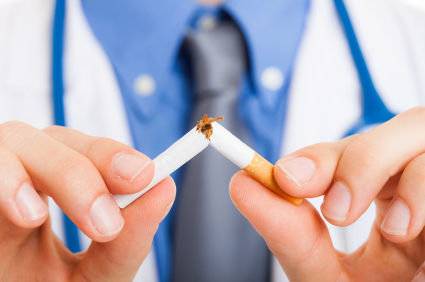 Does your New Year’s resolutions include stopping smoking? Or does your resolution list include trying to stop some other addiction? Smoking is not only bad for a person’s health, it has become more socially unacceptable, as workplaces cut back on where smokers can go to smoke, and more employers frown on the time smokers take away form their jobs to indulge in their habits. Restaurants no longer allow smoking, as is also the case for most public places. Cigarettes have about 4,000 chemicals, 43 of which are known carcinogens, as well as other toxins such as tar, carbon monoxide, hydrogen cyanide, arsenic, acetone, DDT, formaldehyde, ammonia, benzene and Freon. Consider Acupuncture if you are trying to stop smoking, or some other addictive habit. Many people turn to Acupuncture after other methods have failed them. But increasingly, Acupuncture has become the first choice for more people. More people are looking for a non-drug, non-chemical approach to quitting. In some states, Acupuncture is a treatment that is court mandated for drug addicts because it helps alleviate withdrawal symptoms such as cravings, irritability, anger, anxiety, fatigue and difficulty concentrating. This means that they are less likely to resume smoking or doing drugs again, and as a result they are more likely not to be arrested again — a win win for them and society. Some other things a person can do to help them quit the habit includes exercise, drinking herbal teas such as Valerian due to its anti-anxiety and calming effects , getting involved with yoga, meditating, or martial arts such as Tai Chi or Qi Gong. Introducing juicing into one’s diet, drinking plenty of water and eating a diet high in fresh vegetables or fruit can also be helpful. Acupuncture is successful because of many different factors. Acupuncture helps a person maintain more of a sense of balance, reduce the feelings of stress, irritability, restlessness, anxiety, being quick to anger and the jumpiness many addicts feel. Acupuncture also helps with energy. And many patients say that for some odd reason, after acupuncture, cigarettes taste terrible. Acupuncturists use needles that are one-time use, hair thin, surgical stainless steel. They are superficially inserted into points in the body and ear to produce effective results. Between treatments an Acupuncturist may use ear pellets which enable the person to rub and give themselves mini-acupuncture stimulus in times of duress. If you’re ready to call it quits to the cigarettes or other addictions, give us a call at Acupuncture Alternatives – 480-671-5178.